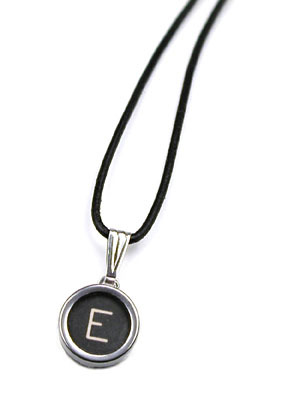 With your choice of vintage typewriter key set in sterling silver backing on a genuine leather cord, the necklace brings back the simple charm of typewriters from the old days. Choose any letter. Handmade in U.S.A.